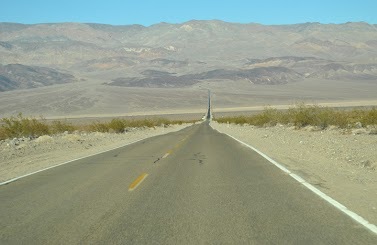 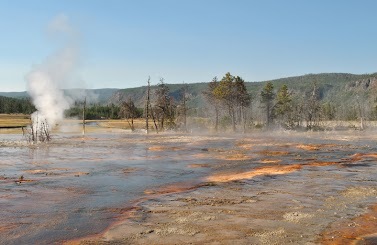 Road going down into Death Valley. 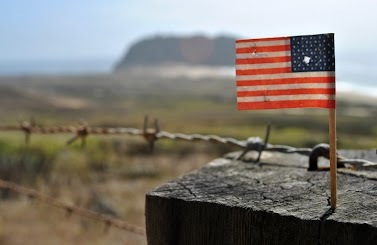 A mini US flag along the Big Sur on the Californian coast. 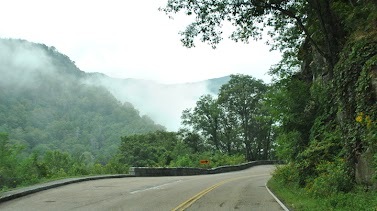 Road in the Great Smoky Mountain National Park.